C:\pxesrv\config.ini - the Tiny PXE Server executable configuration file. C:\pxesrv\files - root directory containing Network Bootstrap Programs, operating system files, etc. Edit these paths as required to reflect your own setup - avoid using spaces in paths and keep the path simple if possible. Remote Installation Services (RIS) is a Windows 2000/XP/2003 network deployment solution. A Boot Image Negotiation Layer (BINL) service is required - the Tiny PXE Server executable includes native support for this service. 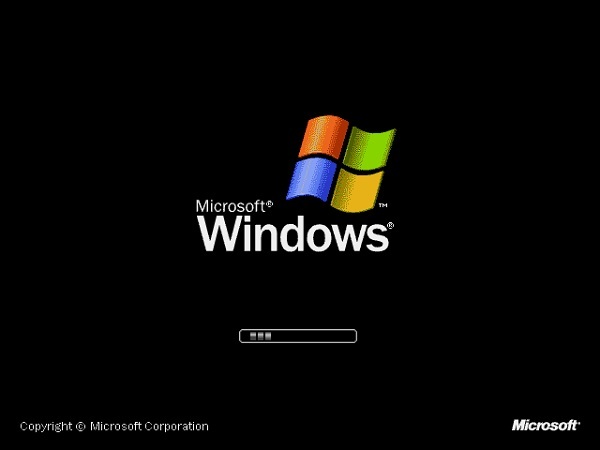 Windows 2000 boot files may require a name change as in some circumstances the file names may need to be pre-appended with the filename of the network bootstrap program used to load them (e.g. rename ntdetect.com to pxelinux.0ntdetect.com) - refer to the guide referenced in the preceding paragraph. Copy windows source files to C:\pxesrv\files\winxp\I386 - see here. Create configuration file C:\pxesrv\files\winnt.sif (copy existing file or create a new one). See here. Add driver .inf files to C:\pxesrv\files\INF directory - See here. Add driver .sys files to C:\pxesrv\files\winxp\I386 directory - See here. Create Null Session Share for C:\pxesrv\files directory - see here. Set filename=startrom.0 (or alternatively use opt67=startrom.0) in C:\pxesrv\config.ini and start C:\pxesrv\pxesrv.exe. Boot the client PC and complete the network installation. Copy the I386 directory (and contents) from your Windows XP source to C:\pxesrv\files\winxp (you should now have C:\pxesrv\files\winxp\I386\). Extract startrom.n12 from C:\pxesrv\files\winxp\I386\STARTROM.N1_ (it's a .cab compressed archive - use 7-zip), rename as startrom.0, then copy to C:\pxesrv\files\startrom.0. Extract setupldr.exe from C:\pxesrv\files\winxp\I386\SETUPLDR.EX_(it's a .cab compressed archive - use 7-zip), rename to ntldr, then copy to C:\pxesrv\files\ntldr. You will also need to add a text based configuration file winnt.sif containing setup instructions to C:\pxesrv\files\winnt.sif - syntax is covered below. [SetupData] OsLoadOptions = "/fastdetect" SetupSourceDevice = "\Device\LanmanRedirector\192.168.2.1\files\winxp" ; ; SetupSourceDevice is required for first stage ; For SetupSourceDevice = use syntax "\Device\LanmanRedirector\SERVER\SHARE\SOURCE" ; * Where SERVER = IP address of the server (e.g. 192.168.2.2) or server (NetBIOS) name (e.g. SERVER-PC) ; * Where SHARE = sharename used for the tftp root directory (e.g. files) ; * Where SOURCE = directory containing Windows source files (e.g. winxp) ; ; E.g. ; "\Device\LanmanRedirector\192.168.2.1\files\winxp" ; or ; "\Device\LanmanRedirector\SERVER-PC\files\winxp" [data] floppyless = "1" msdosinitiated = "1" OriSrc = "\\192.168.2.1\files\winxp" ; ; OriSrc is required for second stage ; For SetupSourceDevice = use syntax "\\\SERVER\SHARE\SOURCE" ; * Where SERVER = IP address of the server (e.g. 192.168.2.2) or server (NetBIOS) name (e.g. SERVER-PC) ; * Where SHARE = sharename used for the tftp root directory (e.g. files) ; * Where SOURCE = directory containing Windows source files (e.g. winxp) ; ; E.g. ; "\\192.168.2.1\files\winxp" ; or ; "\\SERVER-PC\files\winxp" ; OriTyp = "4" LocalSourceOnCD = 1 DisableAdminAccountOnDomainJoin = 1 AutoPartition=0 UnattendedInstall="Yes"
To complete a network installation of Windows 5. * (XP/2000/2003) a driver is required for the client PC's network adapter - the driver .inf files can be used by the BINL service built into Tiny PXE Server to identify the name of the driver .sys file so that the correct driver is loaded - this information is requested in the form of the network adapters VID and PID numbers. The driver .inf file should be copied to the C:\pxesrv\files\INF directory. Multiple .inf files can be copied to this path to support a range of adapters. As an alternative to using the driver .inf file it's possible to use nics.txt - this file should be copied to the same directory as the network bootstrap program startrom.0. A sample nics.txt is included in the Tiny PXE Server download. My own (created from DriverPack LAN 12.05 for Windows 2000/XP/2003 (x86)) is available here. In addition to the driver .inf files (or nics.txt) the corresponding driver .sys are also required. These should be copied to your Windows source file directory - C:\pxesrv\files\winxp\I386. The Server must be set up to share the TFTP root folder (C:\pxesrv\files) in order for the RIS installation to complete - this must be configured as a null session share (a network share with no password protection required for connections with anonymous connections allowed (e.g. guest account)). Tick the Share this folder on the network box and enter files in the Share name: box > click on OK. Tested in Windows 7 - should apply to Windows 8/8.1. In the Advanced Sharing window > tick the Share this folder box > click on Permissions > click on Add... > type Guest (in the Enter the object names to select (examples): field) > click on OK. The preceding step should open the Select Users or Groups window > type Guest (in the Enter the object names to select (examples): field) > click on OK.
click on Apply > click on OK.
On returning to the files Properties window > click on Close. Now open the Network and Sharing Centre (Control Panel > All Control Panel Items > Network and Sharing Centre) > select Change advanced sharing settings > select Turn off password protected sharing > click on Save changes. The most basic configuration requires setting startrom.0 as either the Boot File - Filename option (filename=startrom.0 in config.ini) or the Option 67 (Boot File Name) option (opt67=startrom.0 in config.ini). Ensure that the BINL daemon is enabled - tick the BINL checkbox in the GUI or add binl=1 to config.ini. It's also possible to chainload startrom.0 from another network bootstrap program - including grub4dos, iPXE and PXELINUX. If you experience any errors with the built in BINL service then try an alternative. A py2exe converted executable of Gianluigi Tiesi's BINL service (see here) is available here. This can be used in conjunction with Tiny PXE Server - ensure that the Tiny PXE Server BINL service is not running at the same time! Copy the driver .inf and .sys files as per the instruction in the Adding Network Adapter Drivers section. Now run binlsrv.exe - leaving the window open.